Although you may not find yourself carrying huge sacks of rice, or transporting your entire family by scooter, you can still have a fantastic time discovering northern Thailand on two wheels. You’ll find that you’ll be able to explore the country at ease and have an amazing time doing it as well. Not only is this probably the best way to explore Thailand, it’s also the most fun and most adventurous. It can be a little dangerous at times, but this only adds to the experience and means you’ll have some great stories to tell your friends and family when you return. 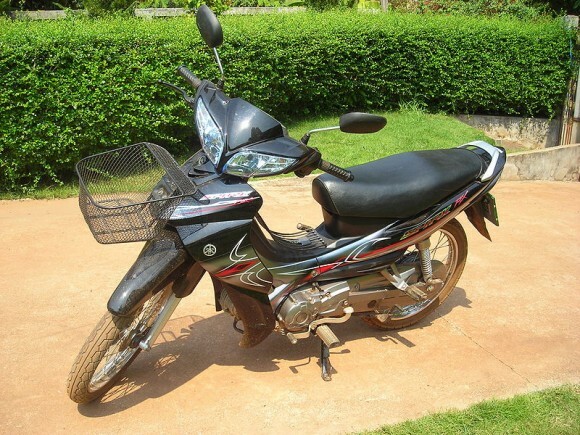 To be able to enjoy Thailand on two wheels, you’ll need to have two wheels to begin with. This may seem like a simple task, especially when so many of the locals use scooters as their only means of transport. However, quality and efficiency are two things you should look out for when renting a scooter; you don’t want to break down fifty miles out of the city centre. Renting a better scooter may cost a little more, but you still won’t be breaking the bank, and it’s worth the extra buck or two to get one that works. Freeing up some money for your trip by finding cheaper flights, at sites like Cheapflights Australia, can also let you spend a little more when you’re actually out there too. After you’ve rented your perfect scooter, you’ll need to have a plan of where you want to travel. Sometimes it’s fun to let the open road take you, but this can be a little daunting for first time travellers to Thailand and you don’t want to miss out on some of the amazing sights that you should be visiting. 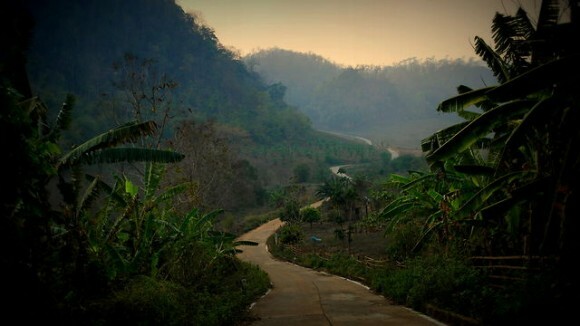 One of the most popular routes to travel on is the Mae Hong Son Loop. This route begins and ends in Chiang Mai, and is full of twists and turns, bumps and bashes, that make for a real journey of a life time. As the route is around 600km long, you’ll need a strong stomach and a real feel for your scooter as you don’t want to get motion sick or be prone to injury! Over about three to four days (which is considered the perfect amount of time to spend on the route) you’ll experience real Thai scenery and culture, with great places to rest your head overnight. A plethora of lakes and mountains await your eager eyes on this trip, all of which can be seen from your scooter, or you can choose to stop and explore a little on foot. There are more interesting aspects of the road journey too; you can choose to visit the Karen Long-neck tribes. An incredibly cultural, but controversial side of the journey, it is down to you whether you agree with visiting the refugee camps. The Buddhist Temple in the town of Mae Hong Son is also worth a visit, even if you only view the building from the outside, make sure you do so at night, where you’ll get the full beauty of the town and the culture.